In: UNN JUPEB Supplementary Admission Form- 2017/2018 !!! 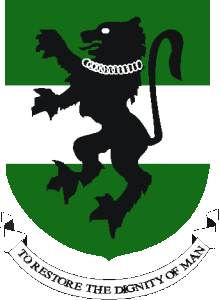 UNN JUPEB Supplementary Admission Form- 2017/2018 !!! University of Nigeria, Nsukka, UNN, JUPEB Jupeb supplementary admission form for the 2017/2018 academic session has been released online. Candidates that are interested in applying for admission into the university are hereby informed. APPLICATIONS are hereby invited from suitably qualified candidates for Supplementary Admission into the Joint Universities Preliminary Examinations Board (JUPEB) programme for 2017/2018 session. The programme leads to the award of JUPEB certificate which enables candidates gain direct Entry Admissions into their respective second year degree programmes in the University of Nigeria, Nsukka and other JUPEB – affiliated Universities in Nigeria and abroad. ELIGIBILITY:- Eligible candidates must possess minimum of 5 Credits at maximum of two sittings in at least 5 subjects (inclusive of English Language) relevant to the candidate’s desired course of study in the University. ARTS: History/literature/Christian Rel. Studies (HLCRS), Economics/Hisitory/Lit – in- English (EHL), History/Igbo/CRS (HICRS), lgbo/Lit-in-English/CRS (ilcrs), History/Igbo/French (HIF) etc. SOCIAL SCIENCES: Government/Economics/Mathematics (GEM), Govt/Economics/Geography (GEG), Literature/Economic/Geography (LEG), Biology/Economics/Government (BEG), Govt/Lit/CRS (GLCRS), Biology/Govt/CRS (BGCRS) etc. MANAGEMENT SCIENCES: Business Studies/Accounting/Mathematics (BAM), Mathematics/Accounting/Geography (MAG), Government/Economics/Mathematics (GEM) etc. SCIENCES: Agric Science/Biology/Chemistry (ABC), Physics/Chemistry/Mathematics (PCM), Physics/Chemistry/Biology(PCB) etc. Candidates are to note that the above subject combinations meet the requirements (as applicable for admission into Degree Programmes in the Sciences, Social Sciences, Management Sciences and Arts courses in all JUPEB – affiliated Universities in Nigeria including University of Nigeria Nsukka. Pay the application fee of N20,000.00 through Remita Payment platform at any bank. You are to generate a payment invoice which contains a remita number; the invoice printout will enable you to make your payment at the bank. (Please note that Bank charges apply and must be paid. § Print out your acknowledgment slip. § All candidates are required to register for 2018 Direct entry UTME during the programme. § All candidates are required to use valid e-mail addresses and PERSONAL telephone numbers. § The forms must be filled and submitted online either immediately or within two weeks of accessing the website. No downloaded or printed copies of forms will be accepted. § Applicants are to note that 2017/2018 Supplementary entrance exam shall hold at the Department of Political Science, University of Nigeria, Nsukka, on Monday 15th January, 2018. § Candidates are advised to follow the Application Instructions very carefully and ensure they select the correct SUBJECT COMBINATIONS. Failure to do so may adversely affect the candidate. Submission of online application form will start from 22nd of December, 2017 to 12th January, 2018.